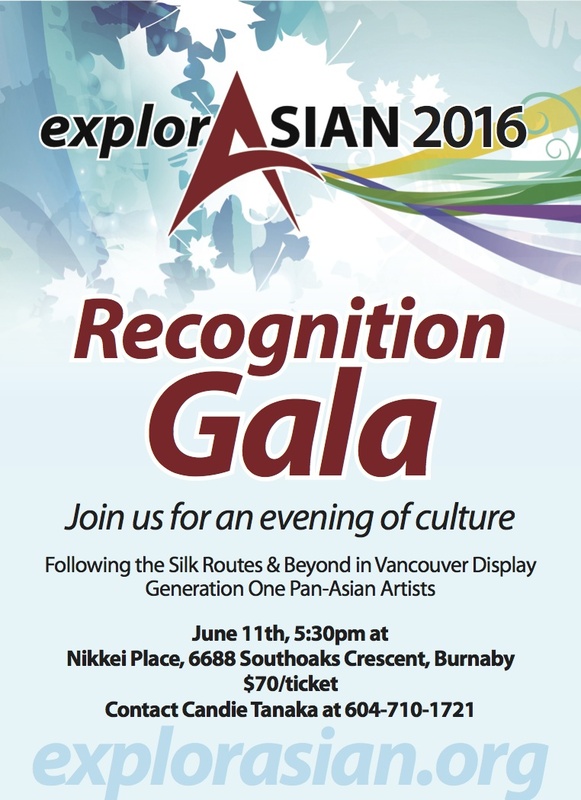 explorASIAN‘s 2016 Recognition Gala took place on Saturday, June 11th, 2016 at the Nikkei National Museum & Cultural Centre. 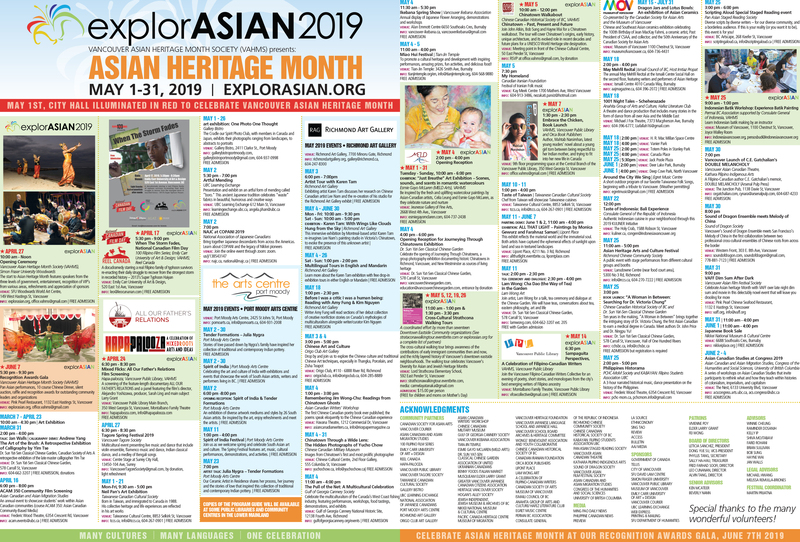 Approximately three hundred guests gathered to enjoy delicious Japanese food, watch Pan-Asian performances, win prizes at our Silent Auction and Raffle, connect with friends, and celebrate the Japanese-Canadian community! 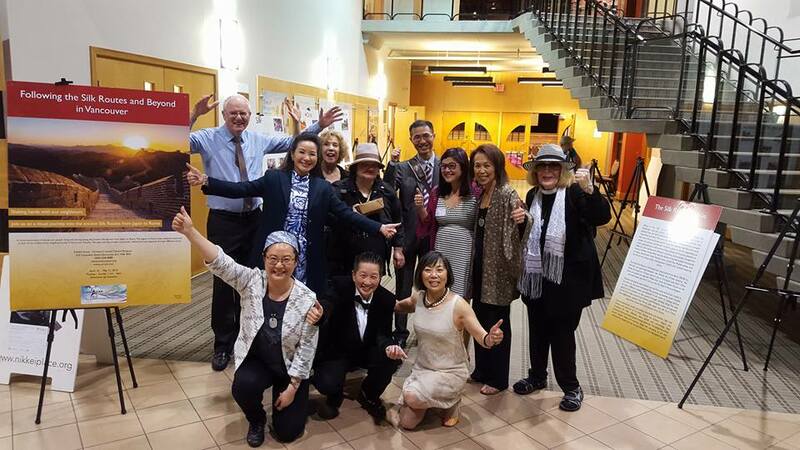 Grace Eiko Thomson, Tosh and Mary Kitagawa, and the Greater Vancouver Japanese Canadian Citizens’ Association were honoured at the Gala for their work as community builders. Our heartfelt thanks go out to all of our hard-working Directors, Advisors, staff, volunteers, donors, and supporters for making this event a huge success. Photo credit in the below compilation photographs goes to Allan Cho, Esmie Gayo McLaren, Esaine Mo Verney, and Eleanor Munk. Delicious Japanese cuisine from Fujiya! Full house and Silent Auction at the Recognition Gala 2016! The VAHMS team behind the Recognition Gala celebrates a successful Gala! Thanks so much to all of you for all your hard work! Thanks to our many friends and supporters! Fujiya Japanse food was a hit! Camus Cognac, Barley Wine, and Beer at Silent Auction courtesy of @Granville Island Breweries and Kelly Ip! Thanks to Fujiya for your delicious Japanese cuisine! Silent Auction Items and wonderful guests! Full house at our Recognition Gala! Wonderful prizes at the Raffle! Volunteer Coordinator Allan Cho on sushi duty. Thanks to Allan and our many volunteers at the Gala for all of their hard work! Thanks to our many donors, volunteers, and supporters! Thanks to our many donors and supporters! Full house at explorASIAN Recognition Gala! Head of the Recognition Gala Committee Candie Tanaka working hard at the beer and wine cash bar!